Throughout history, people have spoken of the value of music in helping one get to sleep. People have used song and soothing music to put babies and young children to sleep. This would suggest that music may be able to help those with sleep disorders to sleep better. This blog examines what the research into music and sleep disorders has shown us. The research into music and sleep has been very heterogeneous with most studies focusing on some sort of measure of sleep quality as characterized by patient reported outcomes of how well they slept or how they felt the next day. Most of the research has focused on how music can help someone get to sleep. In other words, these studies examined the effect of music on helping insomnia. A relatively recent study from Taiwan (En-Ting Chang et al. 2012) randomized 25 people with insomnia into two groups, one in whom soothing music was played 45 minutes before bedtime, and another without music. This study was unique in that they also conducted full-scale sleep studies on these patients while they slept. Interestingly, the people in the music group reported feeling more rested, though the objective analyses of data from sleep studies showed very little difference. A similar theme was observed in a meta-analysis study (a study that looks at other research studies and tries to scientifically combine them) of the effect of music on sleep quality from the medical literature (Wang et al. 2013). What this study found is that some beneficial effects were seen in patient reported outcomes related to restfulness, but there was so much heterogeneity that no definitive conclusions could be made. Nonetheless, it seems as if music could have some benefit in helping people feel like they had a better night of sleep. These previous studies all examined sleep from the perspective of insomnia-like symptoms. What about the larger sleep disorder known as sleep apnea, where sleep is disturbed due to obstruction or partial blockage of the airway (often causing snoring)? There have been some studies done in this area, too, but focused on how music, or specifically, playing musical instruments, could potentially reduce or treat sleep apnea. The idea is that playing certain instruments that exercise the muscles of the mouth, throat, and airway might strengthen muscle tone, to reduce the chance of obstruction during sleep. A large survey of orchestral musicians in the US (Brown et al. 2007), to assess their risk of sleep apnea, found no reduction of risk in musicians who played wind instruments where such muscles are used most. As a follow up, another survey of musicians published in 2012 (Ward et al.) found that the risk of sleep apnea was slightly lower in a sub-category of these wind instrument players: those who played double reed instruments like the oboe. 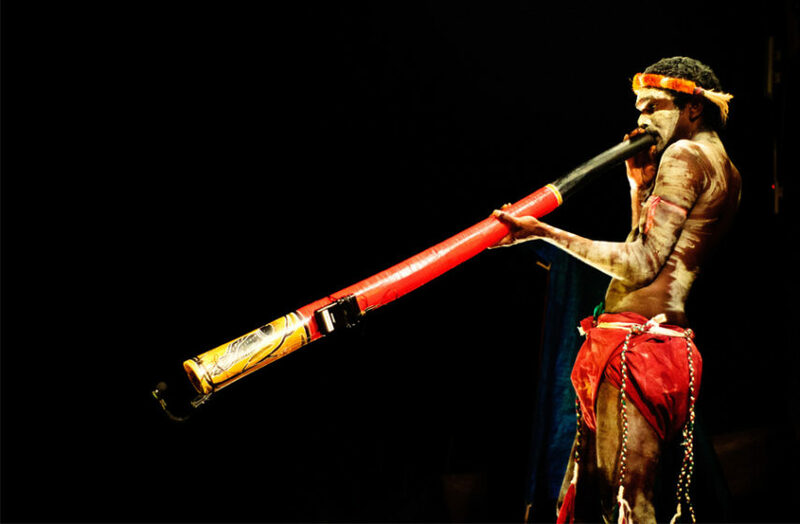 The most interesting study related to this topic was one conducted in Switzerland over 10 years ago, where researchers randomized people with known sleep apnea to learn to play a long Australian pipe-like instrument called the didgeridoo. Half the people were taught how to play and practiced over 5 days per week. The other half were put on a waiting list to learn the didgeridoo, but did not actually get to play the instrument during the study. The results found that the didgeridoo-playing group had a remarkable improvement in their sleep test scores and were reported by their bed partners to be sleeping better. While this study has not been repeated, it does provide an interesting alternative therapy for sleep apnea sufferers who are also fans of Australian aboriginal music! So, soothing music seems to have a mild benefit in improving sleep quality and insomnia. More importantly, playing specific musical instruments may help to reduce sleep apnea and improve sleep quality for both you and your bed partner… unless, of course, you play the didgeridoo in bed.